Skinny models advertising chocolates may actually be sending other women on a guilt trip. The not-so-thin viewers of such advertisements may worry about how chocolates can cause them to put on more weight. Now, researchers from The University of Strathclyde have pointed out that bigger models may turn out to be better for chocolate advertisements. The slim ones proved to be a failure for chocolate advertisements, as they seemed to be reminding viewers that chocolate consumption in huge quantities may not help get a perfect figure. 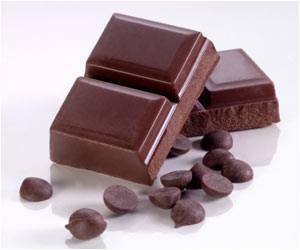 Women who consume small chocolate bars are less prone to strokes, finds study. It is reported that the world's Finest Chocolate has broken the Guinness World Record for the largest chocolate bar to teach children about "proportion distortion" and eating right.